The economical Cold Mount table top presses are available in widths from 14" to 54". These table top presses are available in motorized and hand operated versions and are designed for pressure sensitive mounting and laminating. Coda's Cold Mount System combines Coda's award winning Cold Mount table top laminator with Coda's newly designed roll feed with automatic scrap rewind and floor stand. The complete unit is now a production machine that comes on a sturdy floor stand with locking casters and storage space for roll materials. Available in widths 14", 26", 34", 44" and 54", the Cold Mount System is easy to use and can be run by one operator. production in a small-to-medium sized shop, or as an additional finishing station in a large shop where more expensive, high production machines are committed to very large runs or thermal lamination. The Cold Mount System take up stand will also be available as a retrofit to existing table top laminators that are already in production sites. 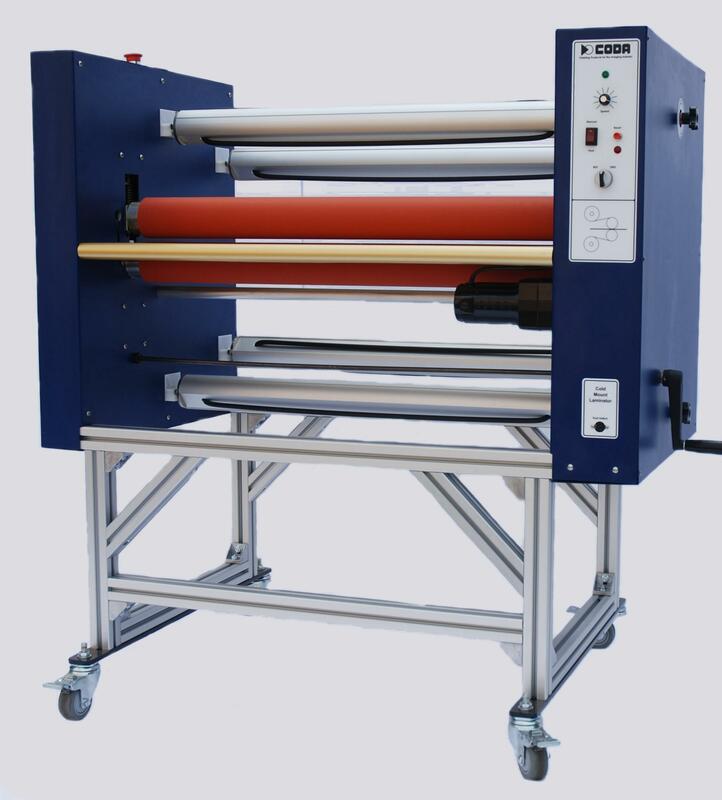 Laminator is easy to use and can be run by one operator. 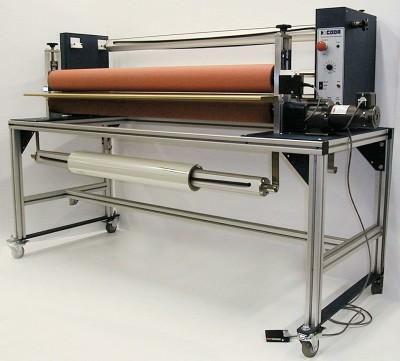 This laminator is the ideal choice for any size business, from being the backbone of a small shop to being a high production unit in a larger operation. The features on Coda’s Codamount Laminator are comparable to industrial machines requiring a higher investment of both time and money.